A good men beard can change men's face and personality, Whether he is slim or heavy. These 6 new looks makes a guy dapper. 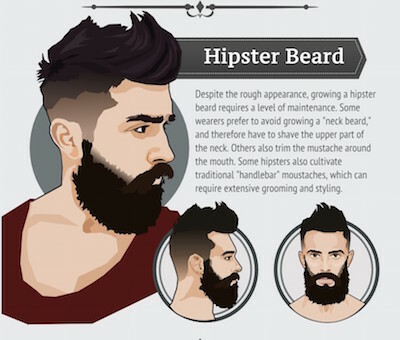 So when you trimming your beard and trying to be different, must follow this infographic by hairstyleonpoint every new fashion can change your look and makes you more stylish. Trendiest beard styles 2015 are Designer Stubble, Professional, Full beard, Captain jack, Hipster beard Van dyke. To maintain this look, you can use the beard oil for helping skin dryness and gives you soft, shiny smooth look. Apply beard wax for holding your mustaches.